We will be featuring some of our highly talented alumni from across all schools. Highlighting the evening will be Kevin K.O. Olusola. Kevin K.O. 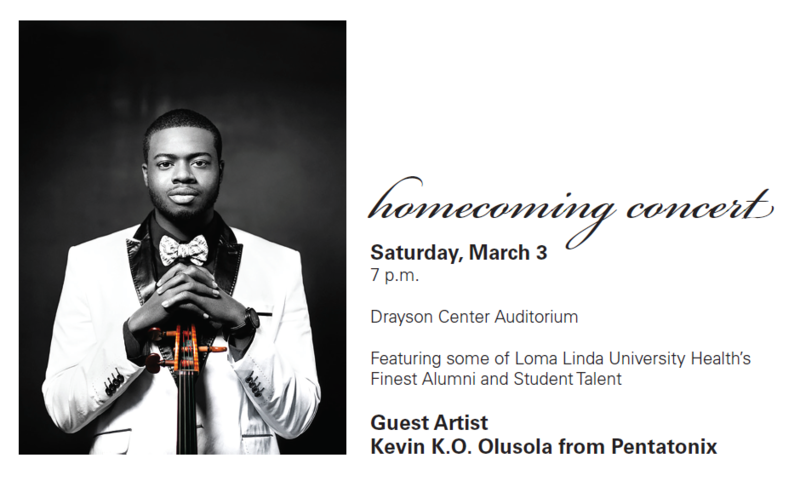 Olusola is best known as the beat boxer of the Grammy-winning vocal quintet Pentatonix. The three-time Grammy® Award-winning and multi-platinum-selling group has sold more than 6.5 million albums and performed for hundreds of thousands of fans at their sold-out shows across the globe. Their YouTube channel boasts more than 13.8 million subscribers, yielding over 2.7 billion video views, and their 2015 self-titled album has been certified gold after debuting #1 on Billboard’s 200.